Hey there! 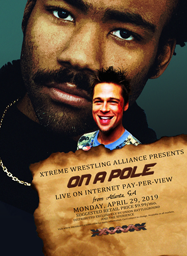 Welcome to the XWA Portal! On this page you can review all of the latest goings on in the World of the XWA as well as your account settings, any announcements from us- the Admins- and other little bits and pieces. Also, there are some links up to the top right with social media things. You should, like, totally click and like them and stuff. Do it. Oh go on, I'll be your best mate.